This 'religious' significance of the Lembas that becomes apparent in Mordor is the ability to rely solely on the sustenance provided by consuming it, and the strength it gives to the wills of Frodo and Sam. This 'magic' or supernatural effect of the Elven-waybread has been commented upon by many who have read the story. Catholic commentators have often pointed out the similarity between the effect of the lembas and that of the Eucharist or Blessed Sacrament. And why is this? Or what is the Eucharist? For anyone who has read anything about Eucharistic Miracles [go here and here] the Lembas is extremely evocative of this sort of phenomenon. The Eucharist, which is Greek for thanksgiving, is often used to refer to the Mass or to the True Presence of Jesus under the appearances of bread and wine at Mass. When Catholics go to Church on a Sunday [or during the week] they receive Spiritual Food [even though some go without any idea of what they go to]. At Mass, Catholics partake of the Bread of Life, which is eating and drinking Jesus under the appearances of consecrated unleavened bread and wine. The Mass is the most important prayer of the Church. It is celebrated everyday of the week all round the world. The Mass is the memorial of the Death and Resurrection of Jesus; and because it is a memorial; the Sacrifice of the Cross and its fruits are present and flow from the Altar of the Mass. For a more detailed explanation of what Mass is go here. Throughout the history of the Catholic Church there have been thousands of instances where believers have experienced miracles when receiving Jesus under the appearances of bread and wine [Eucharist] at Mass. In fact there are many miracles where during Mass, the bread has transformed into Real Flesh and the wine has changed into Real Blood; like God is wanting to remind his people that Jesus is really there. There have been miracles of healing and visions; many Saints have survived on the Eucharist alone for years. While in France, I visited the home of Marthe Robin, a holy French woman in line to be beatified, who lived solely on the Bread of Life for 50 years. She ate nothing else as she bore the Stigmata of Christ. There are other true stories of this phenomenon in the history of the Church, where believers relied only on the True Presence of God in the Eucharist, thus fulfilling the words of Jesus that, ' if you do not eat the flesh of the Son of Man and drink his blood, you will have no life in you. [John 6:53]. [go here and here to read about Eucharistic miracles]. This True Presence of Jesus under the appearances of bread, [often a wafer-thin unleavened bread called the Host] can be placed in a receptacle [Monstrance] and put on display on the altar in a Catholic Church so believers can come to worship Jesus sacramentally present. This type of prayer is called Adoration and is a powerful prayer. Songs can be sung and structured group prayer can be setup. It can also be a time for silent personal prayer. Many monastic orders revolve their day to day life around Adoration of the Blessed Sacrament. Tolkien often frequented Adoration. The consecrated Hosts are kept in a Tabernacle [a holy enclosure] in the Church and fulfils the prophecy that God 'will live among his people'. Jesus being present in the Tabernacle of a Catholic Church is a fulfilment of the Jewish Tradition of God's presence residing in the Holy of Holies in the Tabernacle of the Temple in Jerusalem. But now he resides in every corner of the world. Tolkien had a huge love of Adoration as is shown in this letter to his son. Sometimes processions are carried out with a Priest at the head carrying the Monstrance containing the Heavenly Bread. If you've seen the movie The Mission  with Robert Deniro and Jeremy Irons, the final scene shows this. There have also been miracles of healings and extraordinary happenings when the Eucharist has been carried in Procession through villages and nature. 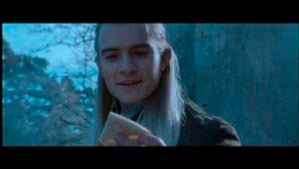 The lembas, the Elvish way-bread, gives an incredible strength to those who eat it. Not just a physical strength, but also strength to the will. Considering Tolkien's love of the Eucharist, one can see how this has influenced his writing. Gollum in his evil state [almost possessed by his lust and desire for the Ring], is repulsed by the lembas when he tastes it. This ties in with the moral and spiritual order that exists in Middle-earth: the Elves having made the lembas and having seen the Light of the Two Trees, and Gollum who lives under the darkness of the Ring, corrupted and twisted. They are diametrically opposed. Tolkien: "...another saw in waybread [lembas] = viaticum, and the reference to its feeding the will and being more potent when fasting, a derivation from the Eucharist... "
Tolkien doesn't deny the comments, but refers to his belief and desire that in reading the Myth one is drawn to the Truth. The meaning and origin of Viaticum sheds even more light upon the origin of the lembas and the use of the word in reference to the Eucharist in the Church. "Among the ancient Greeks the custom prevailed of giving a supper to those setting out on a journey. This was called hodoiporion. 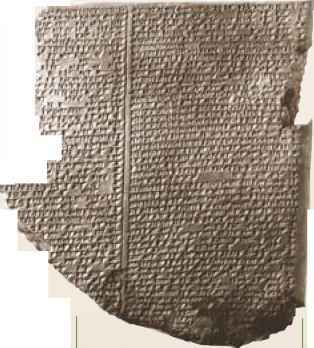 The provision of all things necessary for such a journey [food, money, clothes, utensils and expense] was called ephodion. The adjectival equivalent in Latin of both these words is viaticus, i.e. 'of or pertaining to a road or journey'. Subsequently the substantive viaticum figuratively meant the provision for the journey of life, and finally by metaphor, the provision for the passage out of this world into the next. It is in this last meaning that the word is used in sacred liturgy by the Church." Thus, in Catholic terms, viaticum refers to the last reception of the Eucharist before death and before the journey into Eternal Life, but the use of the word has evolved from a physical journey one took in life. With this explanation, one can see that in the lembas, Tolkien has amalgamated the supernatural qualities of the Eucharist with the original journey understanding of viaticum: the lembas sustains the characters supernaturally on their journeys in the story.